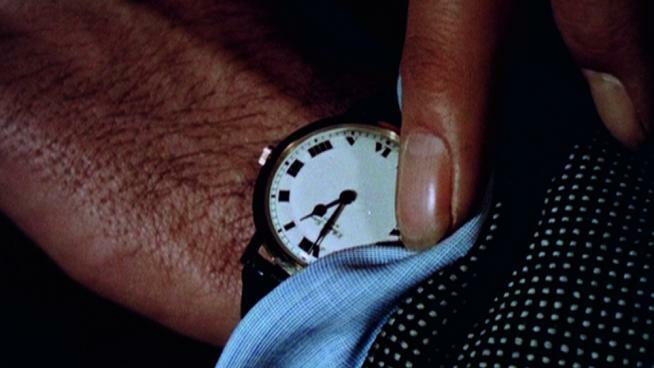 Winner of the Golden Lion award at the 2011 Venice Biennale, The Clock samples thousands of film excerpts from the history of cinema that indicate the passage of time—from clock towers to wristwatches to buzzing alarm clocks—edited together to unfold on the screen in real time as a 24-hour montage. Called “an abundant, magnificent work” (The Financial Times) “relentless and compelling” (The Guardian) and “utterly transfixing” (The Huffington Post), The Clock has garnered rave reviews from art critics and the public alike since its premiere in 2010. The Clock is the artist’s most ambitious moving-image project to date, drawing upon over a century of cinematic history. Though it is constructed from a dizzying variety of periods, contexts and film genres, whose storylines have been reduced to fragments, The Clock proceeds at a unified pace as if re-ordered by the underlying narrative of time itself. The work is synchronized with the local time of the exhibition space, conflating cinematic and actual time and giving each passing minute the potential for alternately suspenseful, tragic, or romantic narrative possibilities.